Sboniso has been involved in conservation for many years. 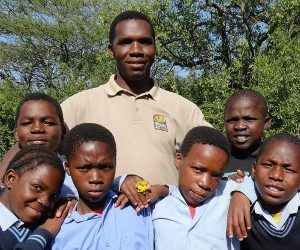 Even before joining the Wildlife ACT Team Sboniso had started a few of his own wildlife ambassador clubs. Here he teaches community members about conservation which involves discussing ways to encourage sustainability and reduce poaching in the local neighbourhoods. Recently four of his club members were hired by nearby wildlife game reserves.